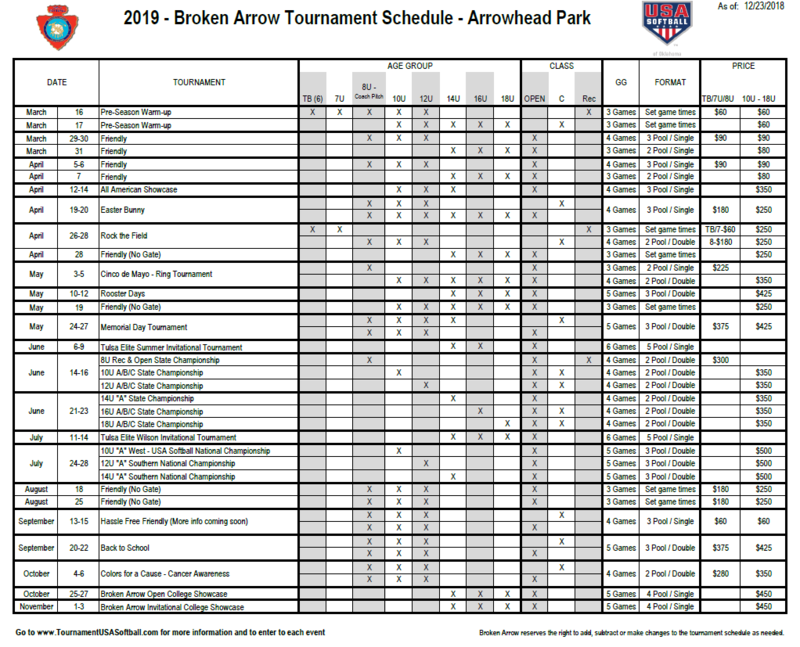 Attached is the Broken Arrow 2019 Tournament Schedule. You can enter tournaments on http://www.tournamentusasoftball.com. We have added an 16U & 18U GOLD Qualifier June 21-23! 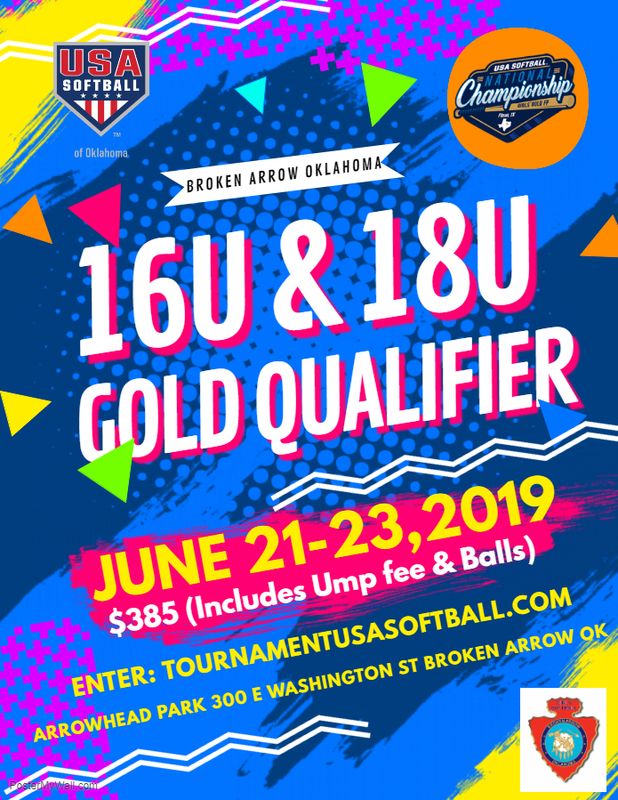 Come Play in Broken Arrow!